Small Chalet Park in peaceful natural habitat with stunning views. Ideal for walking, cycling, fishing, bird watching, touring the Western Highlands & Islands or just relaxing. Children and dogs very welcome. 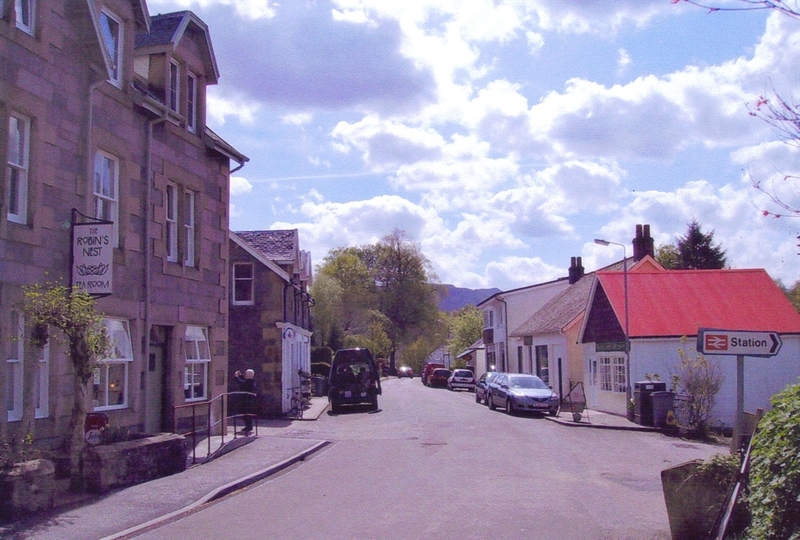 Airdeny Chalets is to be found less than a mile from Taynuilt and 12 miles from Oban, in a quiet unspoilt glen. 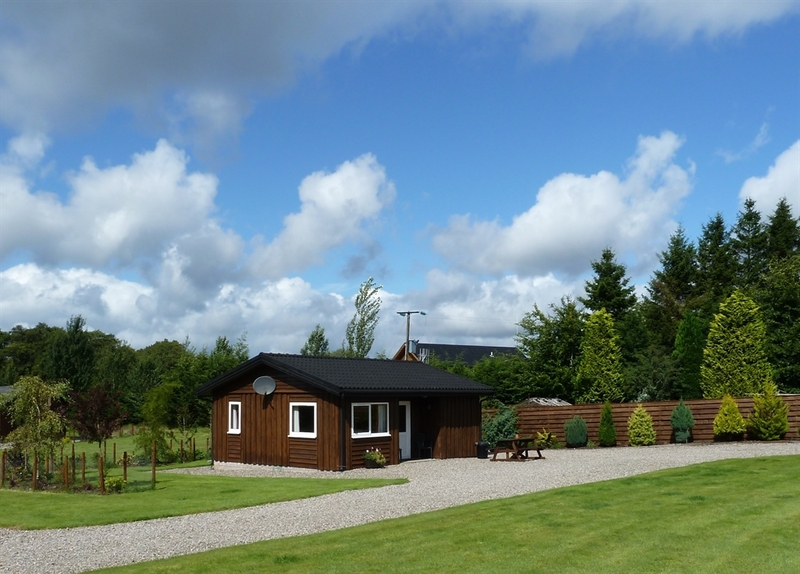 Our seven comfy chalets offer the perfect hideaway in beautiful Western Scotland. Choose from two-bedroom or three-bedroom timber chalets, each decked out with everything you could possibly need. Although when you have views like ours, you don't need much. Nestled in 3.5 acres, the chalets look up towards the spectacular Ben Cruachan and down Glen Etive. 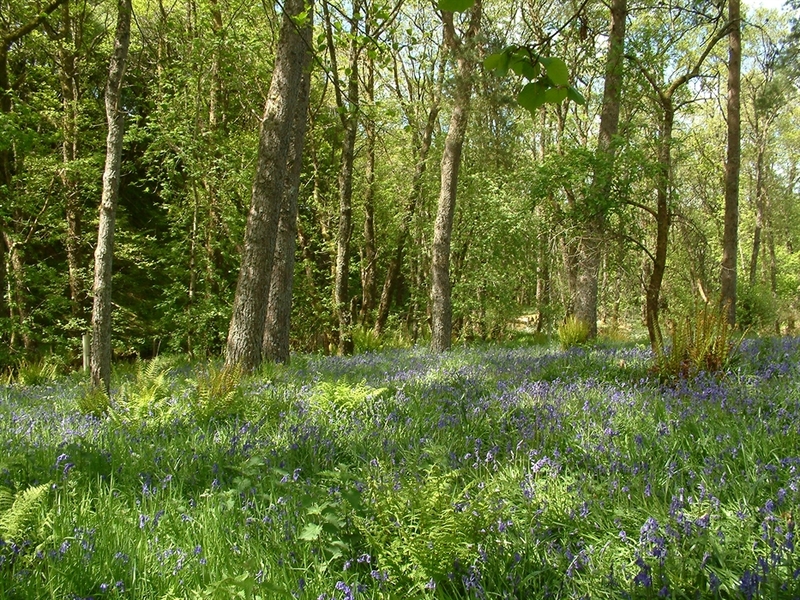 We have our own bluebell wood and are often visited by a myriad of wildlife. An added bonus is that it is a ‘midge free zone’! 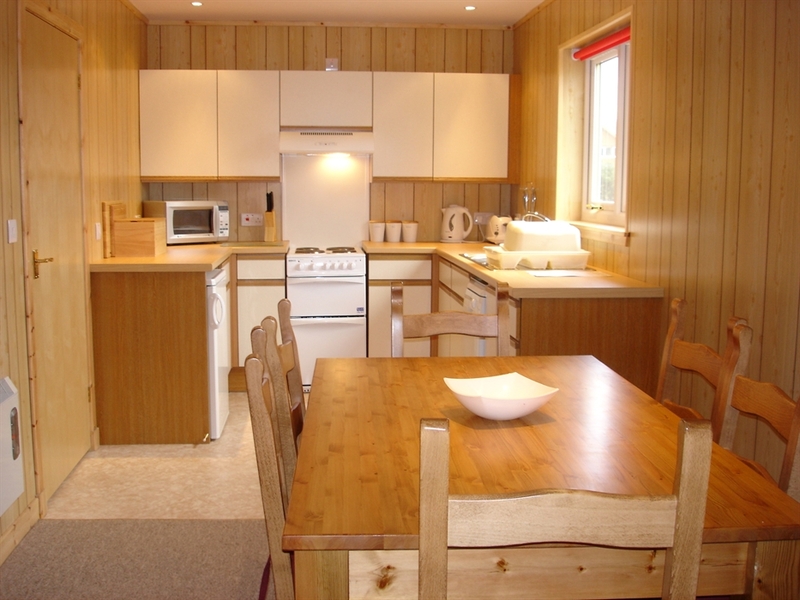 The chalets are constructed from timber and decorated to provide you with the comforts of home. 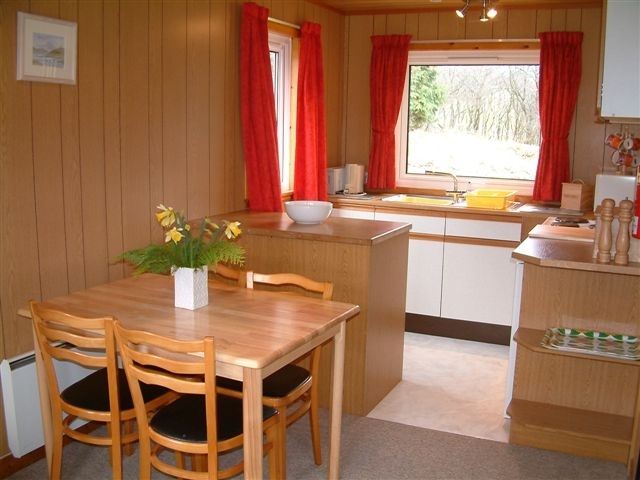 In each chalet the living area is open plan. 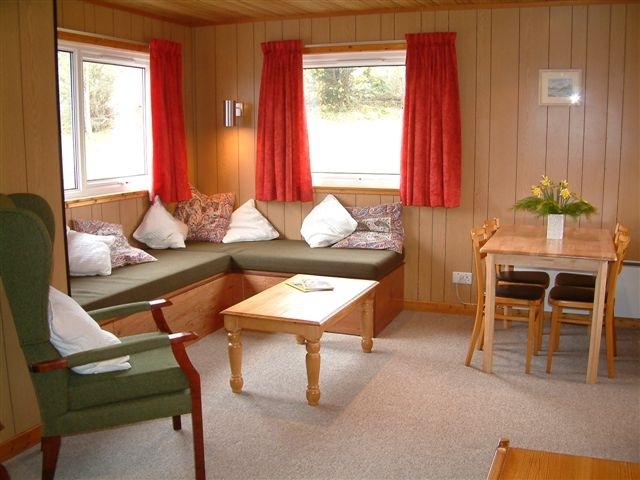 There are armchairs, a sofa (in the 2-bed chalets this converts into two single beds), dining table and chairs, a TV, plus DVD and CD players. The kitchen is fully kitted out - so no need to pack the sink! 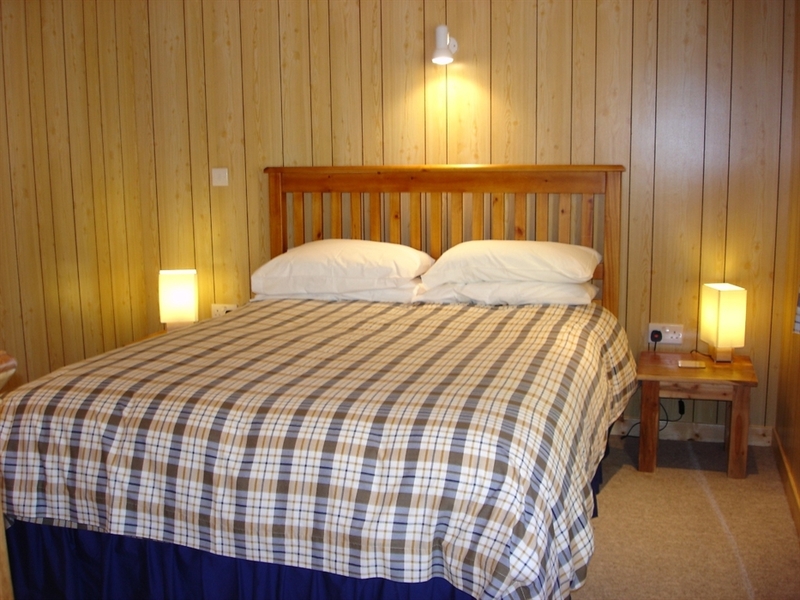 Linen is supplied for the bedrooms, but there is a fee if bedding is required for the living room in the 2 bed cottages. Towels, cots and high chairs can be hired, but please give us notice. To keep you snug in the cooler months there are heaters and double glazing throughout. Electricity is by meter (charged at the current rate) and payable at the end of your stay. Laundry facilities are available on site. Dogs are very welcome for a small charge, but please let us know in advance as some chalets are dog free. 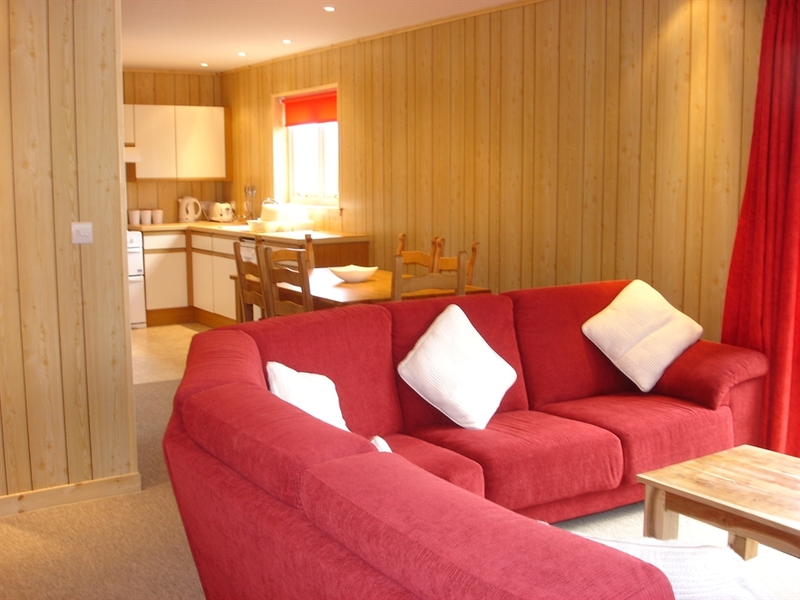 One of our 3 bedroom chalets has been graded for wheelchair assisted access and has an excellent wet shower room. WiFi is available on site. Airdeny Chalets is committed to providing good quality service to its guests while also minimising the environmental impact of its activities. 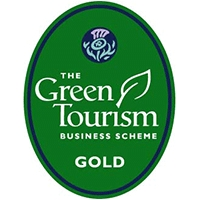 As a symbol of this commitment we have been awarded Gold status by the Green Tourism Business Scheme. We believe in encouraging sustainable practises to ensure the continued enjoyment of the environment for future generations. 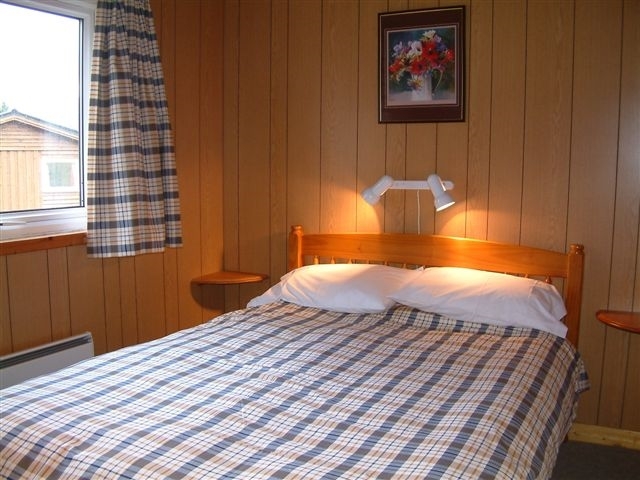 The chalet park is under the personal supervision of the owner who is resident on site and will endeavour to make your stay an enjoyable one. She ensures that the chalets are maintained to the highest housekeeping standards. A home baked cake welcomes you on arrival and fresh organic fruit and vegetables are available in season. You can also order a home cooked meal to be delivered to your chalet. Oban, the Seafood Capital of Scotland, is only 20 minutes drive away and has many excellent restaurants. 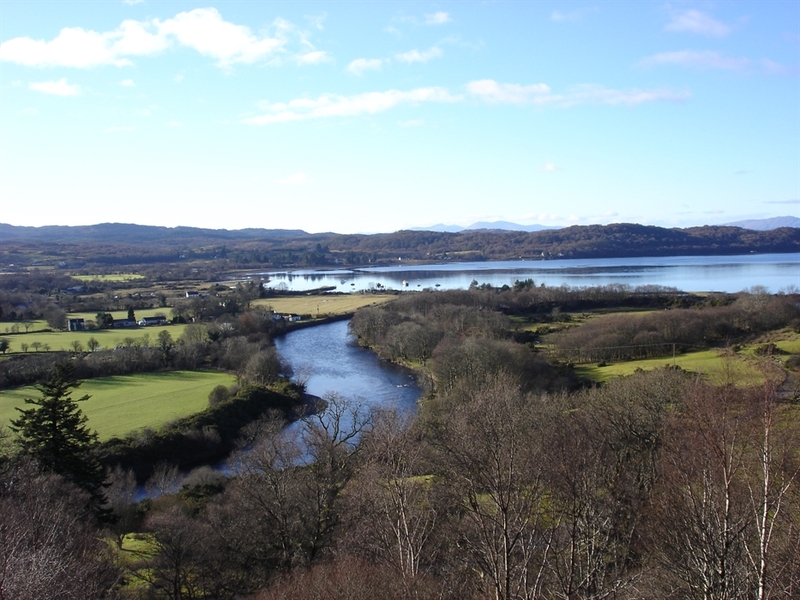 There are many different activities in Argyll for you to participate in during your holiday at Airdeny, you can view a selection on our website. 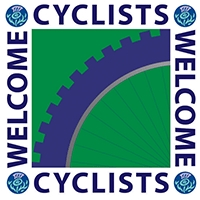 It’s a perfect venue for walking, cycling, fishing, bird watching, touring the Western Highlands & Islands or just relaxing. So come, enjoy our hospitality and have a relaxing holiday you'll never forget! We look forward to welcoming you at Airdeny.